Hmmmm.. creating martial applications for that bit of the Sun form seems a bit of a stretch to me. I think you're better off sticking with the first explanation you gave of it being a breathing exercise/chi kung. That's what I think it is. Or at least that what it looks like. Nothing wrong with that. Nothing wrong with keeping your hands up when people are punching either Of course, that's not where the hands are held in the form, so back to my original point - I think it's a stretch. GrahamB wrote: Hmmmm.. creating martial applications for that bit of the Sun form seems a bit of a stretch to me. That's actually the application taught to me, I didn't pull that out of thin air. Now, of course knowing what I know about fighting, I'm going to keep my hands naturally a little higher, and while the Sun form tends to be the closest that I've ever seen to how it is to be used in fighting, it still needs to be extrapolated to an extent to still be usable. The breath power comment doesn't make sense. My diaphragm, which is a skeletal muscle, is naturally what expands my lungs to take a deep breath in, as well as out. In addition the scapular muscles to aid in retracting is not unusual, perhaps the movement is a little bigger than most. However, the point is to show the movement for the sake of the video. There's also an aspect of using the Open-Close for generating space in a rear bear hug, I didn't obviously show that because it's used with the follow up of a takedown from Single Whip. Hmmm.. I was talking about your arms and their connection to the body. I think that's pretty well explained in the Chen Zhaosen video. What he's doing is a version of that classic open/close move in Sun Tai Chi, just with the arms in a slightly lower position. Last edited by GrahamB on Wed Oct 03, 2018 2:03 pm, edited 1 time in total. Much of what Faxing shows as "fighting techniques" is certainly there in the Sun form. You could interpret several moves as deflecting punches with your hands close to the head and face, like in the position of "Golden Rooster..." where the hand rests behind the ear. So the fighting posture shown here is not far fetched, though I would prefer to not do this interpretation when it comes to the opening move or "open close hand"
... while the Sun form tends to be the closest that I've ever seen to how it is to be used in fighting, it still needs to be extrapolated to an extent to still be usable. ... I like Sun's idea of stopping periodically in a form and doing an open/close breathing exercise just to make sure that your hands are connected to the body - being moved by your "chi" not local muscle movement. Sun Lutang didn't invent this. The whole Sun form is just a variant of the Wu/Hao tai chi form. Sun Lutang did a few modifications though, but it's still virtually the same as the Wu/Hao form. If you look at the modern standard of the Hao form, the structure used is very strict. It's precise, using exact angles. This standard was something Sun Lutang got rid of. He dropped the whole apparatus of the Wu and Hao "structure", like pulling the spine out of this form. But that doesn't mean that the internal engine can't still be there. The Chen Zhaosan clip.... Not exactly "the gold standard" in my book... But sure, what he shows is very good. And it's not really comparable to either Wu/Hao or Sun. Hao use "double spheres", one within the arms and the hands are slightly outwards, like pushing against another sphere. Sun style's hands are just flat, like holding a square box. For Sun practice, if you look at Sun Jianyun, she doesn't stop up and contemplate if she does things right or wrong. In fact, she has said that this Kai-he movement should be a transition and you are not supposed to stop. She knew that many people stopped up here to break the movement, but she said that this is a mistake. The same tempo should be kept through out the whole form with no breaks. For Sun style, it's better to look at a Sun practitioner as Wang Xikui. Not at Wu/Hao, Not at Chen style, just Sun. Last edited by Bao on Thu Oct 04, 2018 2:38 am, edited 4 times in total. Check out the way his arms are connected to the body. Beautiful. From what you write it seem that SLT got rid of important aspects and only somewhat kept an “outer”form/shape of the Wu/Hao Taijiquan ? Does one have to additionally study Sun-XYQ and BGZ in order to get an good understanding of Sun-TJQ ? Trick wrote: From what you write it seem that SLT got rid of important aspects and only somewhat kept an “outer”form/shape of the Wu/Hao Taijiquan ? Woops. forgot " ...'t". I meant that it still can be internal, still have an internal engine. He kept the individual movements almost intact, but the use of body structure is different. The Sun style does not keep that same strict use of alignment or angles that is the standard of modern Hao. Haoever ( ), Sun Lutang learned the old Wu before we had the modern standard of Hao, so the comparison is not perfect. The old Wu style seems to be less strict and had more variations of modes and form practice than the modern Wu or Hao. Old Wu was more rich and modern Hao is more strict. Does one have to additionally study Sun-XYQ and BGZ in order to get an good understanding of Sun-TJQ ? I absolutely don't believe that is necessary. All of these arts are complete systems, you don't need one to understand the other. 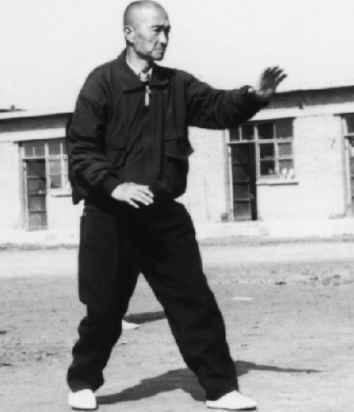 Also, as I have said before, most things that looks like Xingyi and Bagua in the Sun style Tai chi form, as the following step, the Santi posture, etc, are exactly derived from the Wu/Hao form. The similarities were already there. Someone said that it's good to learn one style first, become good and learn one type of shenfa, body method, before learning another style. I could agree with this just by looking at Sun stylists who practice all of these three systems together. Many don't know how to separate the body methods, they melt everything together. They don't understand the hard aspects of Xingyi and they don't understand the body twisting required in Bagua. Mostly they don't understand the stillness in Tai Chi. Sometimes it all becomes shallow and superficial. I do believe that some basic training methods, like the Santishi, can be very benificial for both Tai Chi and bagua practitioners. But how can you understand the differences of body methods if you don't keep them clearly separated and actually learn one of them first? Last edited by Bao on Thu Oct 04, 2018 2:59 am, edited 4 times in total. So Sun-Taiji represent “old” Wu(Hao)-Taiji sort of but not really ? You write of old Wu-Taiji with past terms such as “had & was” as its no longer around ? Trick wrote: So Sun-Taiji represent “old” Wu(Hao)-Taiji sort of but not really ? You write of old Wu-Taiji with past terms such as “had & was” as its no longer around ? Maybe "sort of", it's more speculating, but if you look at Sun's teacher and how the style developed before and after it makes sense. Hao can be found, Old Wu is still around, but very hard to find. Last edited by Bao on Thu Oct 04, 2018 6:14 am, edited 1 time in total. Well from my experience with all three (as this is my family)... I can tell you if I had just learned TJQ only... and knowing what I have been taught about these 3 styles, i would be ignorant to many aspects of the Taiji form in usage. I mean...people don't know what they don't know right? Everybody is saying it lately. Before his unfortunate passing...my sifu had a high level understanding of the Sun Concepts. I know this to be true. Sun Taiji doesn't just draw the usual Tai CHI practices such as = open and close, bows of the body, 8 energies & five directions (blah blah too many to list). Yes it's Taiji concepts but in some places it's also the body link and connection from Xing Yi and foot work from bagua. I can't guess as to other peoples experiences...but these are mine. as to the use of Open and Close the way it's done in the OP video...I wouldn't do it that way, that's not the concept. But to each their own. As I suspected it to be since I read Bao writing that SLT threw away important aspects to be found in the original Wu(Hao) Taijiquan, then he must have replaced those with others? probably taken from his deeper knowledge of XYQ/BGZ? Sound logic, right? But then “important” aspects of XYQ, BGZ and TJQ might be quite the same on an advanced level ? Subitai wrote: Well from my experience with all three (as this is my family)... I can tell you if I had just learned TJQ only... and knowing what I have been taught about these 3 styles, i would be ignorant to many aspects of the Taiji form in usage. I can understand this. You can surely learn a lot about an art by watching it through the glasses of others. Trick wrote: As I suspected it to be since I read Bao writing that SLT threw away important aspects to be found in the original Wu(Hao) Taijiquan, then he must have replaced those with others? probably taken from his deeper knowledge of XYQ/BGZ? Sound logic, right? But then “important” aspects of XYQ, BGZ and TJQ might be quite the same on an advanced level ? Why do you believe that something must be replaced? SLT learned Tai Chi when he was over 50. His teacher was around 70. SLT had abandoned the aspects of combat a long time ago and believe that a gent should practice martial arts for health only. So he focused mainly on teaching qigong and health aspects of TJQ. I've read people saying that SLT invented the Sun TJQ exactly as one would fight for real. That is just not true. A) He didn't invent anything of the form, he merely did a few changes to the Wu/Hao form. And 2) He had no combat in mind when he created his own version. Then why would he add combat movements and aspects from XY or BGZ? It doesn't make sense. SLT was probably a highly skilled martial artist, but at the same time, he was one of those politics who turned TJQ away from combat and into Qigong. Last edited by Bao on Fri Oct 05, 2018 12:33 am, edited 3 times in total. Why do you believe that something must be replaced? . In a previous post you write SLT removed aspects from the original Wu taijiquan “pulling the spine out of the form”. That sound as he took away an quite important aspect of the original teaching, that of course must be filled with something else but similar, otherwise it’s an empty shell ? 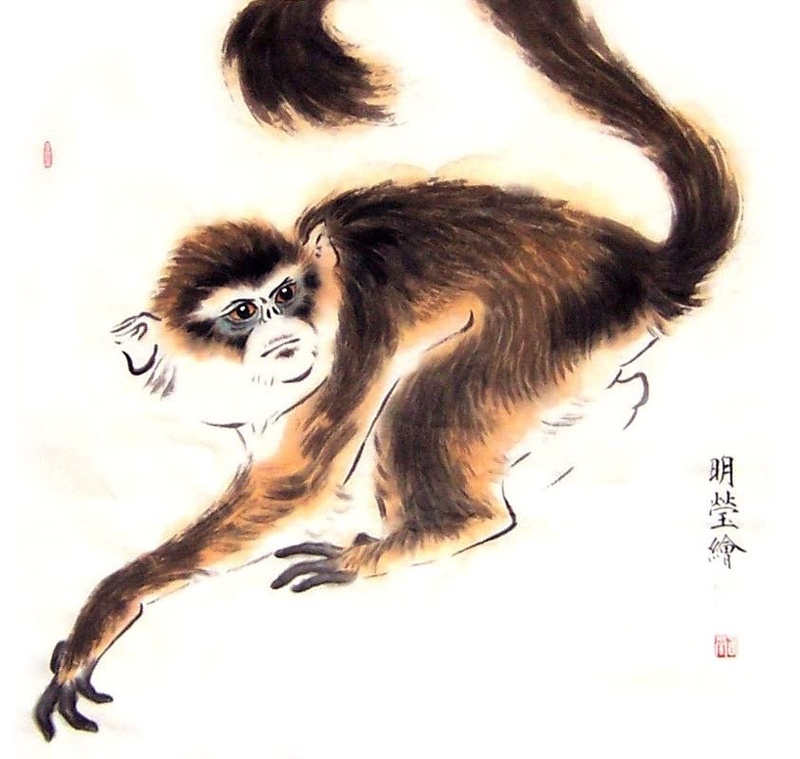 You go on writing Sun’s Taijiquan is an complete art”stand on its own legs”, but then continue with its merely an Qigong exercise “he had no combat in mind when creating it”. ...Now I would believe his Taiji has combat applications. As the saying goes, - to get the health benefits out from it you got to do the postures right, and to do them right you got to also know the combat applications of them. And after all it’s called Sun-TaijiQUAN....But came the “Quan” into it from his previous boxing experience?